Its shop the look sunday time again, but this week I wanted to take a moment to illustrate how to wear the latest trends. Basically, I’m taking some of the top trends that I have featured this week and giving you two outfits with the same item which will take you from desk to date and then from the park to brunch. 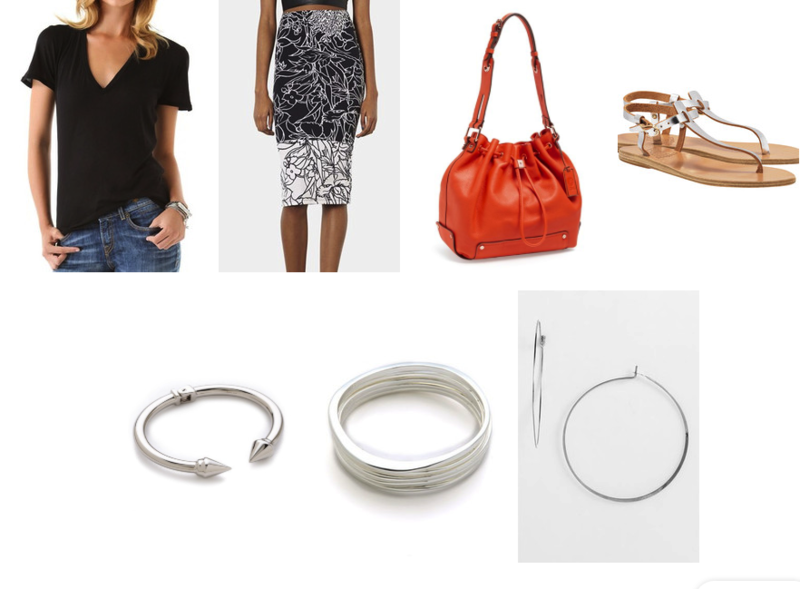 So., for example, take the same graphic print skirt and pair it with a simple tee and sandals and it can easily take you from the park with the kids to brunch with the ladies (give or take some jewels) and then another option when we take that same skirt and let it take you from the office to off for the evening. Wearability is key – so when you purchase an item you want to make sure it is flexible enough to meet all your fashion needs – so let me show you some great ideas on how to wear the latest trends. How to wear the graphic print skirt from desk to date – click the pick to shop the look! The graphic print skirt can then take you from the park to brunch – click the pic to shop the look! Nautical inspire wedges – take them from desk to date – click the pic to shop the look! 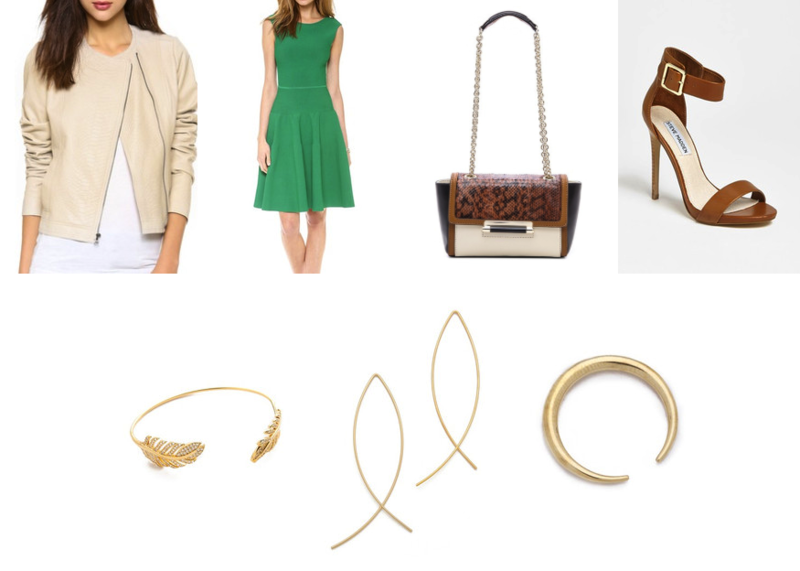 How to wear nautical wedges from a playdate to a lunch date – click the pic to shop the look! how to wear the leather jacket that’s not black – it can take you easily from desk to date – click the pic to shop the look! 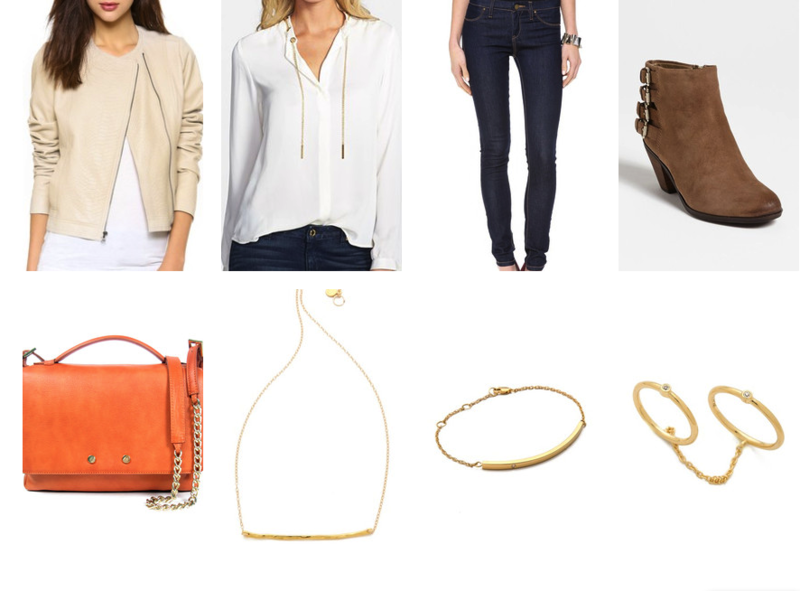 How to wear leather jackets (that aren’t black) from the park date to the lunch date – click the pic to shop the looks!